My three events have and always will be close to my heart and forever burned into my memory. Time has not erased the emotions or the good feelings that I had then, so many years ago, and still affect me now. Martin Luther began the “tree” tradition of bringing a Fir tree into his home. As the story goes, in the year of 1536, while walking home, through the Pine forest of Wittenberg, Germany, one December eve, Martin noticed how the stars shone through the trees. He was so impressed and was anxious to share this with Mrs. Luther, his wife. So he cut a tree down, took it home and placed it in their home. He adorned it with small lighted candles, (which reminded him of the stars), on its branches. Martin Luther declared that it would be a symbol of the beautiful Christmas sky. Martin looked upon the “tree” as everlasting love from God. Today we have many symbolic Christmas Trees but the one that comes quickly to mind is The Rockefeller Center Tree. It, too, has quite a history connected to it. In 1931 it was the first tree at the Center placed there by the construction workers. Actually, the workers would collect their pay at the tree. Two years later, in 1933, another tree was placed at the same site, this time it was adorned with lights. This became its official home each Christmas season. Today, the famous tree dons at least 25,000 lights! A sight everyone must see, at least once! Of course, we have the growing Tree as part of The Nutcracker Suite presented each year at the Met. This one-ton Christmas Tree grows from a height of 12 feet to 41 feet! Go and see it and find out how the tree is housed! Let us not forget the famous “Charlie Brown Tree!” It too evokes much thought! Do you know what Charlie’s tree needs most? Linus has the answer, it’s love! Does it fit the modern spirit? So a little background on my feelings about and for the special tree we use for the season. 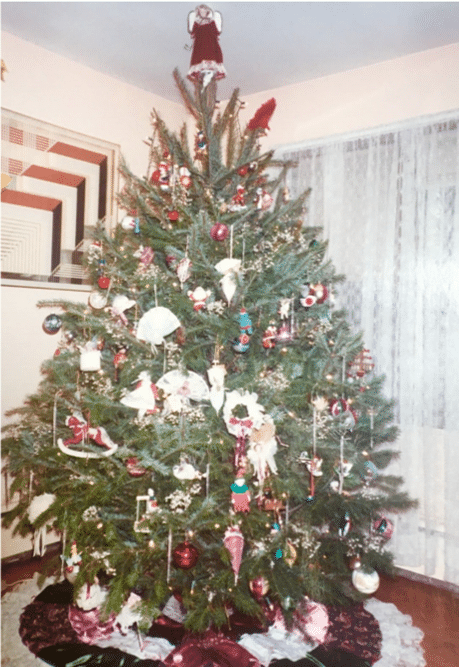 No, the Fraioli Tree never became famous but brought us so much enjoyment and love that I’d be remiss if I didn’t, at least, share one of our tree stories. One very cold, freezing, Saturday in December, we embarked on our ‘tree hunting escapade!’ Gloves, scarves, heavy coats and boots; nothing curbed the frigid cold of that day in December! I was always the fussy one, wanting the ‘perfect’ tree! Our noses, toes, and fingers were frozen and Larry, my husband, and my daughter were done with this tree shopping bit! I picked a beautiful spruce for indoors and Larry decided to get a white root ball spruce for replanting after the ground became unfrozen! Since we were feeling a bit flushed with some extra money, I loved the idea of a permanent spruce in our little yard! It grew from 5’ to at least 16 feet! Money wise it was a “fat” Christmas for us! We also had a white “fake” tree which we’d use as well! This particular year, our daughter Paula claimed her rights to it and the decorating of it. So, three people and three trees! A bit ostentatious but we had a plan! The white tree stood in the kitchen and Paula trimmed it with small colored ornaments of toys and kitchen play items. red and blue were the color scheme! A homemade tree blanket of baby bears made by my cousin Barbara hugged the bottom of the tree. In fact, she made one for the family as well; one side looked like a stained glass window and the other side was a rich Victorian garnet color. We placed our live spruce in our wheelbarrow; untrimmed, unlit but yet, she stood majestically! She knew that the best of times were ahead of her; she’d found a home! The Main event was decorating our real blue spruce! Larry had placed the tree in its stand and gave the tree a drink! Next we’d tackle the ‘lights’! Always a nightmare! You know the story, unwinding the lights, checking to see if replacements were needed and finally, string them on the tree in uniform order. Since, we fought the elements all day, we were looking forward to a hot meal! Finally, thawed, warmed and fed, we were on to the fun part of the event! 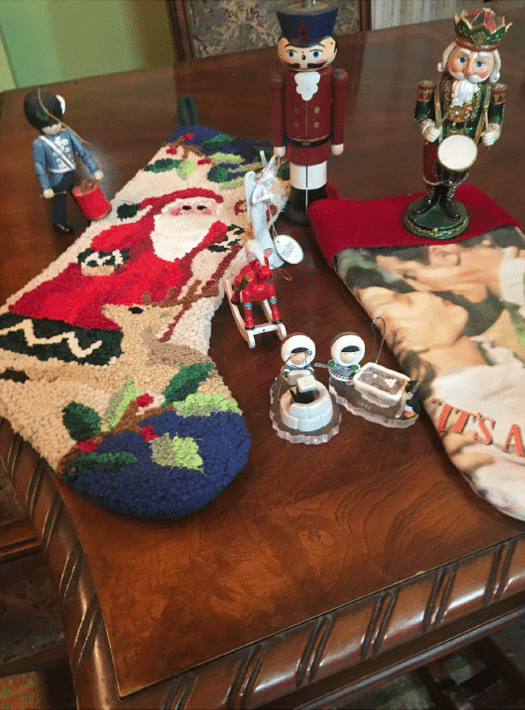 We did have a method of madness to our trimming……tiny, small, medium and large decorations and ornaments were to be placed and in that order! When we decorated my mother’s tree, she finished off her decorating by using tinsel! Remember that aluminum shining icy stuff? It most likely had other elements in it and it mimics the effect of ice. It is very harmful to cats and dogs! Mom insisted upon the thick kind! And she would start at the top of the tree and each branch had to be decorated in a uniform manner; short, medium and long. Her tinsel made the tree! So much so, you couldn’t see the old fashioned ornaments! But, that was what pleased her. To this day, we still have those old ornaments! Real treasures! And that’s what it’s all about, isn’t it? That’s what creates the ‘memories’ of years gone by! I got sidetracked but that’s what happens at his time of the year. My husband, daughter and I truly enjoyed dressing our tree. After our ornaments were placed and the skirt arranged under the tree, we’d step back, pause and look at each other, as though we’d just performed a little miracle! Now, was the best time….lighting our tree for the holidays! But, before we did that, I’d make hot chocolate and we’d toast our tree and each other! Job well done! Now, the crowning moment; all house lights off and Larry would light the tree! Wow! I still get goosebumps today. We’d sit, look and sip our hot drink. All was peaceful. This feeling of love would wash over me and I couldn’t help but tingle within, as though Angels were touching me. All the tiredness of the day just disappeared and we were home, safe and happy. While in the Navy, Larry learned the plumbing trade. He thought once he was mustered out of the Navy, he’d have no trouble getting a plumbing job. Wrong! Seems one had to have a license to plumb before one could get a job. He did that but because he wasn’t with a company, he was refused work. He did auto work as a mechanic but he wanted to be a plumber. It was one of those catch-22 situations! So, he persisted and found someone who would take a chance with him and his plumbing experience. He was hired by a small shop, in New Rochelle, and found a home. However, this particular year it was quite a thin year. Larry’s boss was experiencing a very slow year and this was clashing and playing havoc with Christmas shopping. I wasn’t working. Just doing all those charitable things one does to help out. My daughter was about seven or so and she went to St. Gregory’s in Harrison. One evening, after our dinner, Larry shared his thoughts about Christmas gifts. Jobs were not plentiful and Larry’s boss wanted to be fair with his eight workers. A little work for each! So, they could all be on salary. 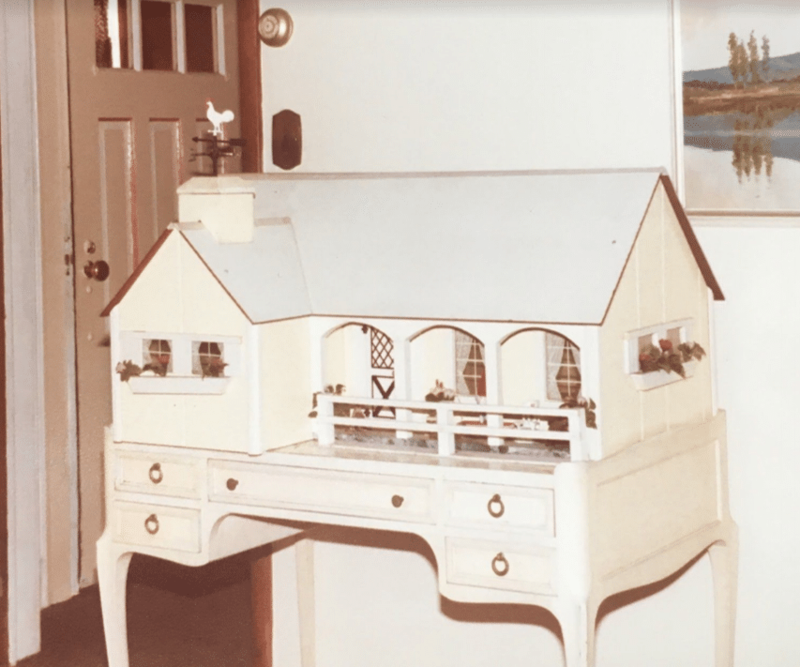 Now, Larry’s idea for a Christmas gift for our daughter was a Doll House! In fact, he told me he saw one in the window of Miller’s Toy Store in Mamaroneck. He loved it; it was complete with furniture and family. I asked him if his thinking about this Doll House was conceivable since work was so slow? We were just barely managing but the bills were being paid. And, furthermore, he said, you and I’ll exchange gifts. We’ll be creative in our gift wrapping. No fancy paper for us this year. We’ll brown bag our gifts and we’ll be fine! I certainly admired his spirit and he did not waver once from his idea about the gift! Doubt never entered the picture. I, too, felt uplifted. Sure enough, I managed to buy Larry a certain tool he wanted. Yup, I ‘brown bagged’ it and pasted golf cartoons on the bag! He, in turn, got me the hair dryer I needed. He used comic strips of Nancy, you know the girl with the short thick hair? Clever! Paula had little gifts for us as well! Well, something happened during Christmas week! We had quite a snow storm. Kitchen pipes were freezing up and drain storms were clogged! You guessed it, Larry’s workload increased on Christmas week. Christmas cooking, company coming, the housewives were screaming for plumbers! On Christmas Eve, Larry’s boss was able to give each of his men a full week’s salary and the housewives were so grateful to have their sinks, pipes, and plumbing restored, they gave the men generous tips too! On Christmas Eve, Larry was late getting home. You know where he was? Yes, at Miller’s. The “gift” was still in the window. When he arrived home that eve, he motioned to me that the “house” was in the truck! I do think faith was at work here. Paula loved her Doll House and we all had fun playing with it. It wasn’t all about the gifts but our attitudes, our feelings and our thinking about positive possibilities. Oh yes, I threw in my more than share of prayers! Anyone who really knows me knows that I love ornaments. Whenever we would visit quaint towns, such as Newport, RI, and Nova Scotia I’d head for the Ornament stores. In Italy, I ladened myself and our luggage with Pinocchio ornaments! In Venice, we bought beautiful colored glass. So over the years, my collection, now my daughter’s, has grown! A story with each ornament. Soon now, we’ll be saying to one another, remember this and the story just goes on and the memories come flooding back. I am collecting Frosty Friends and I started them on their inception date which was 1980 with “A Cool Mule.” My grandkids, Cajun and Savannah can split them! We have some beauties. In our family ornament collection, we have various types of Nativity Sets. So our trees really have been dressed to the nines! For a time, we were using tinsel but we let it fall by the wayside. It was harmful for our pets and I don’t like hiding our ornaments. One particular December, my cousin Chris called me and said she was coming up to visit and she’d like to pop some corn, string it and decorate the tree. Well, we got a late start and if you’ve never strung popcorn, don’t!! It’s work! Well we started late and it was a chore! I can tell you, the popcorn idea went out the window with the tinsel idea! But as we strung, we talked about Christmases past. Retelling family stories; especially old fashioned narratives! Chris’ sister, Barb who had hands of gold. She created all of our ‘family tree quilts; and Carmen, the middle sister who kept us all tranquil when disagreements popped up; she provided us with accurate information. Carmen was and still is our ‘go to’ for solving problems. My cousins, my soul sisters; I love them! My dear Daily Feels readers, we are the ornaments of life! Some of us are hewn from the the hard stuff, like The David! Some of us may resemble a painting, fragile, and then we have the everyday type of ornament…..which we cannot do without! So you see, irregardless of color, creed, beliefs and ideas, we are the gifts, the ornaments of life! I’m thrilled we’re on display 365 days per year! We cannot be put in a box, neatly arranged in an attic or closet; we are the constant ornament! Please remember, dear reader, that it’s been your experiences, your wisdom that has brought you to where you are today! In all languages, I deeply wish all of you, Merry Christmas, Happy Holidays and a peace filled with so much joy! My thanks and good wishes to Janis Gaudelli, the founder of The Daily Feels. To all the Bloggers, regular and guest visitors! Janis, our Tree and tower of strength; the writings are the gifts and the Bloggers are the ornaments! Thank you! 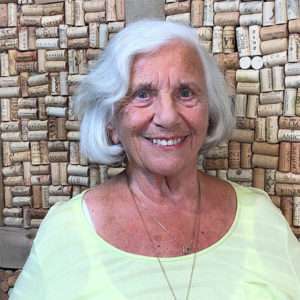 Nancy Fraioli is a retired Benefits Asst. from Town/Village of Harrison, NY. 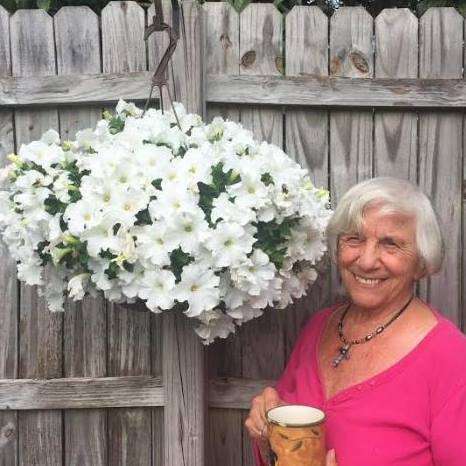 She’s alive and well, residing in Sarasota with her daughter and family and enjoying the Floridian lifestyle daily. Her passions are writing, reading books of philosophy, children’s stories and poetry. Her deep love is living, learning and sharing how faith, meditation, and music guide her daily life. And she loves to lunch with the ladies!